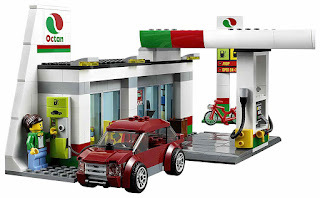 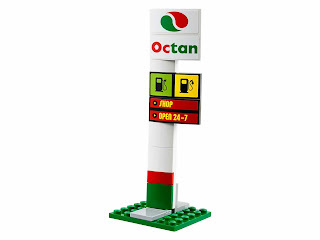 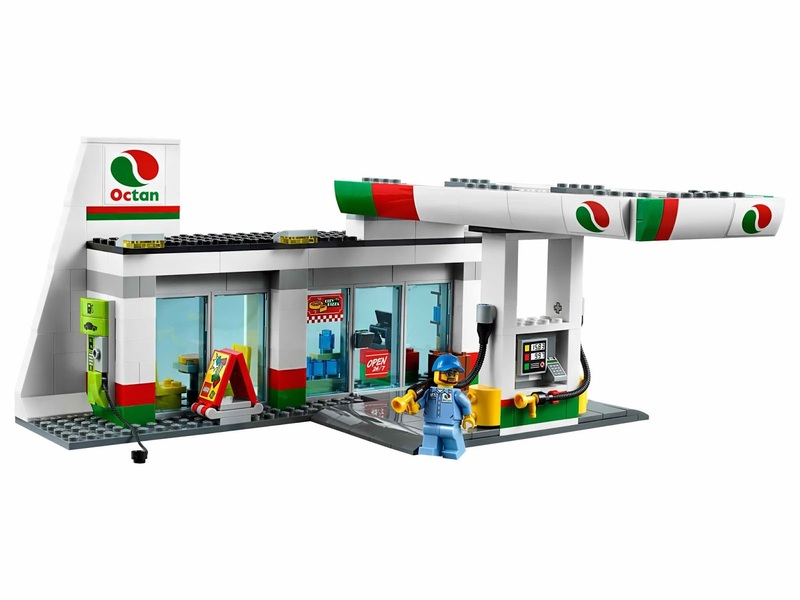 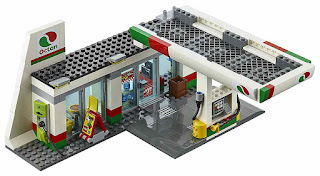 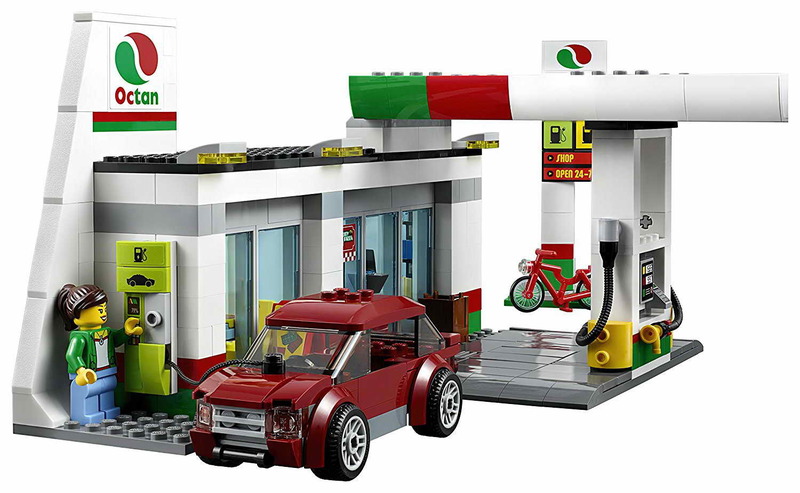 come with 2 building alternatives: a gas station, a sign, pumps and a kiosk or a service station, a lift, a mail stand and a wash station. 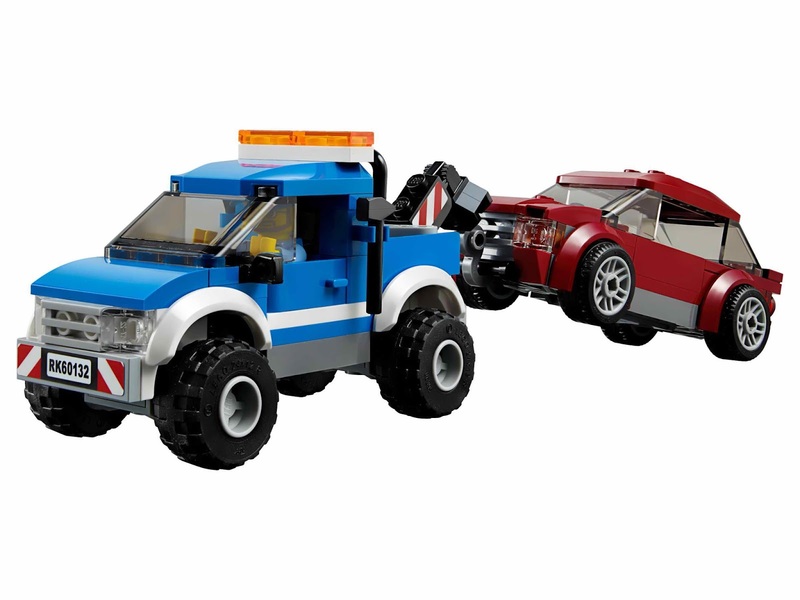 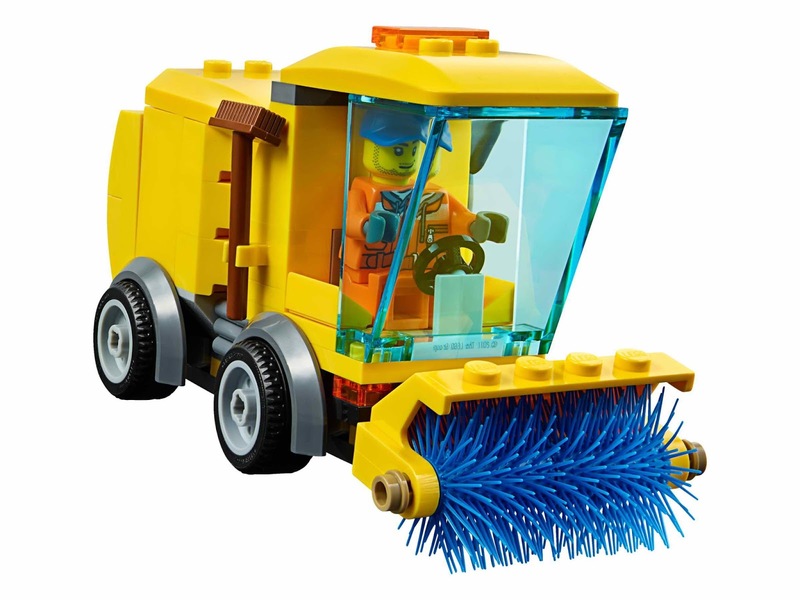 also included 6 building alternatives for vehicles: a tow truck, a street sweeper, a convertible, a buggy and a pick up truck. 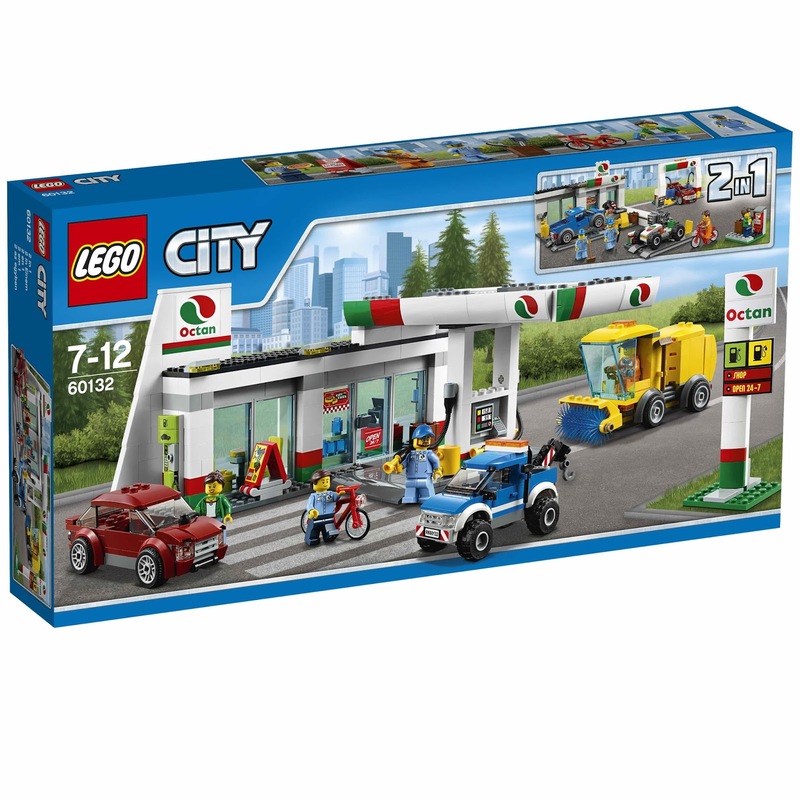 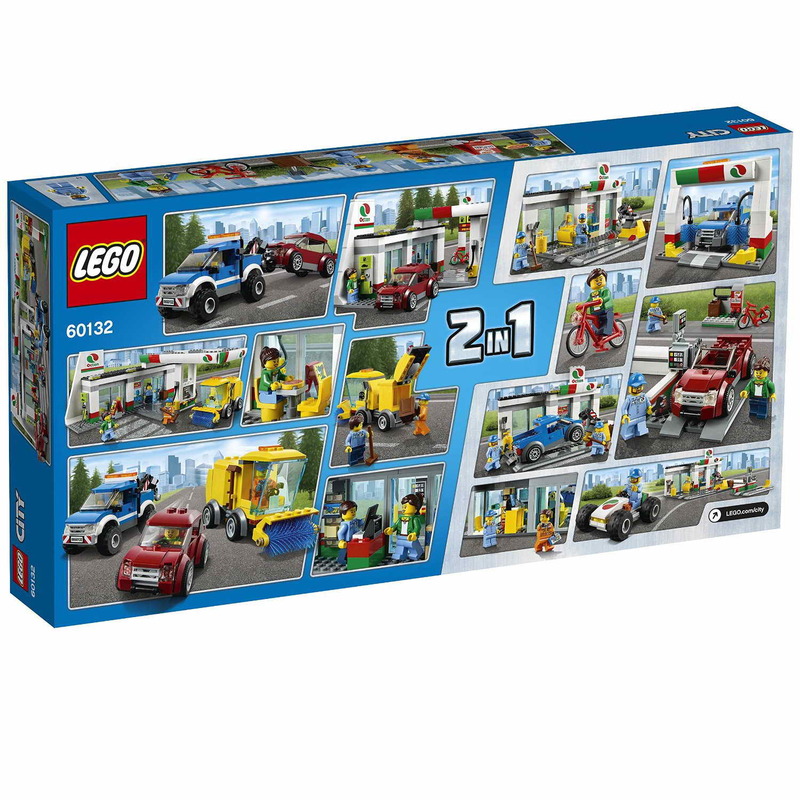 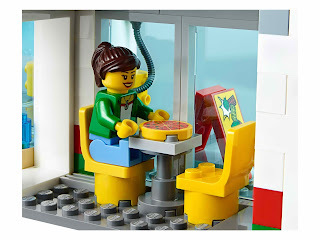 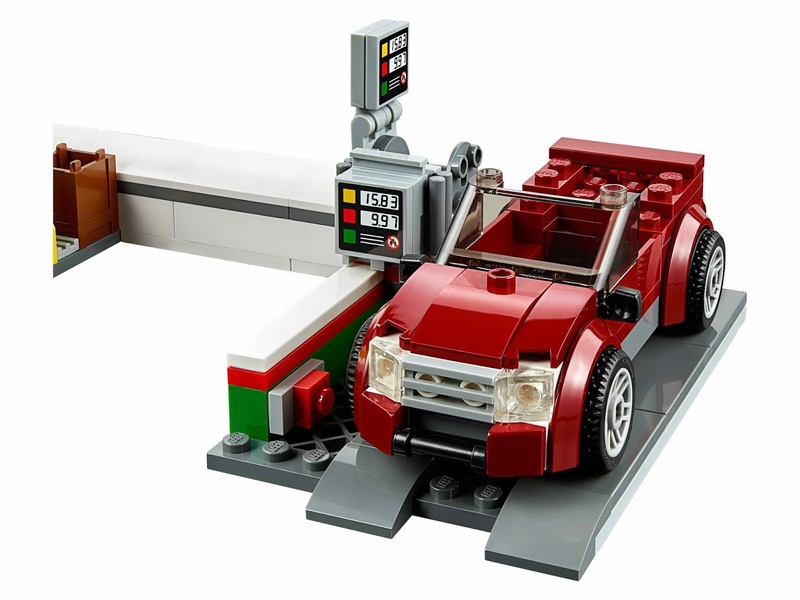 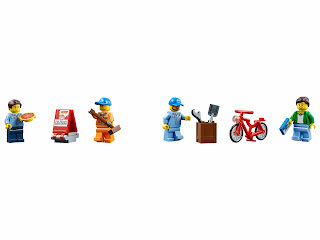 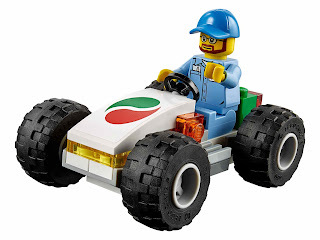 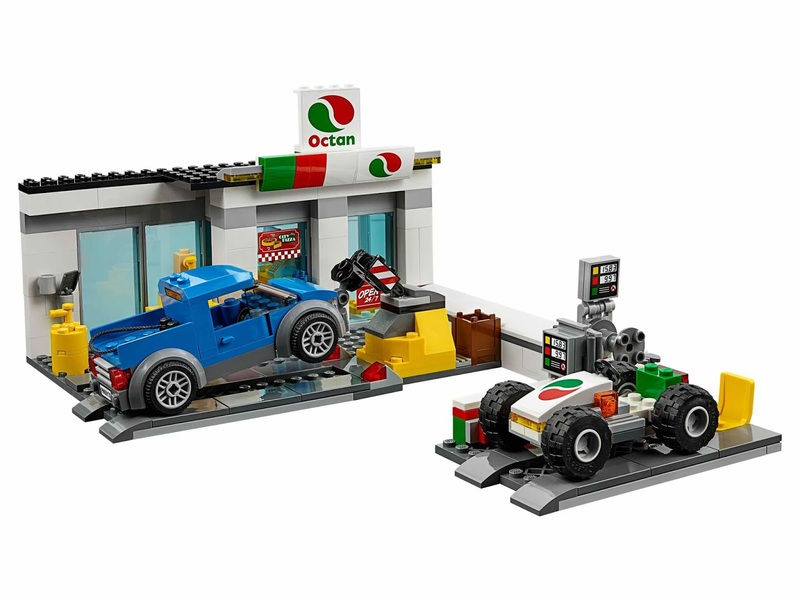 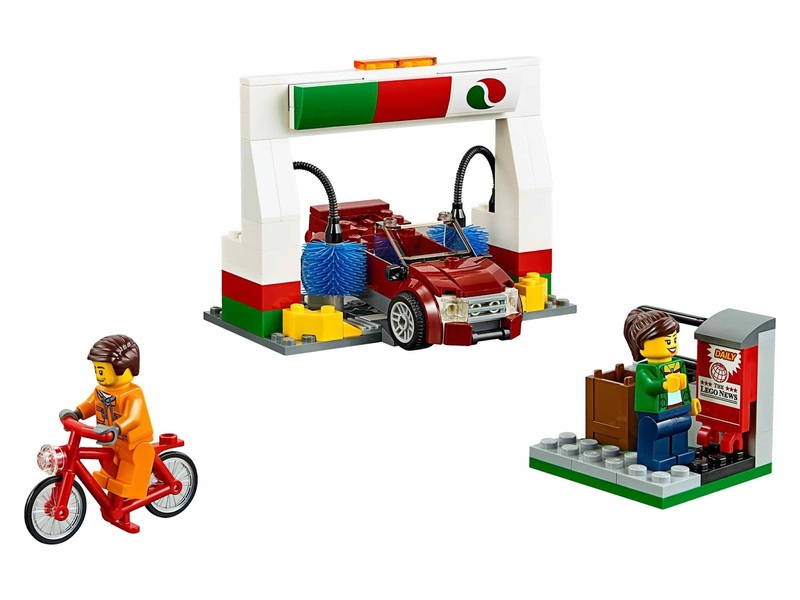 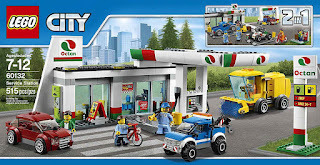 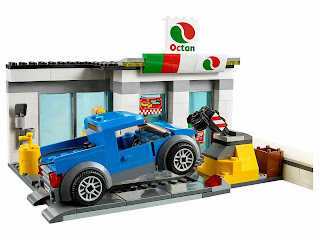 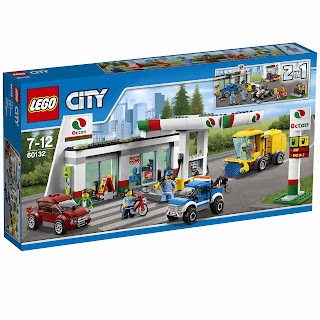 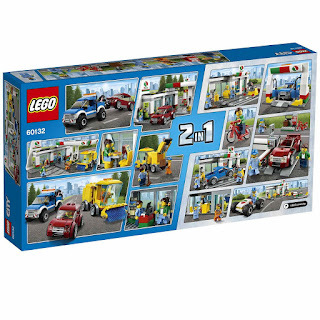 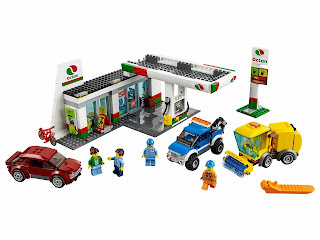 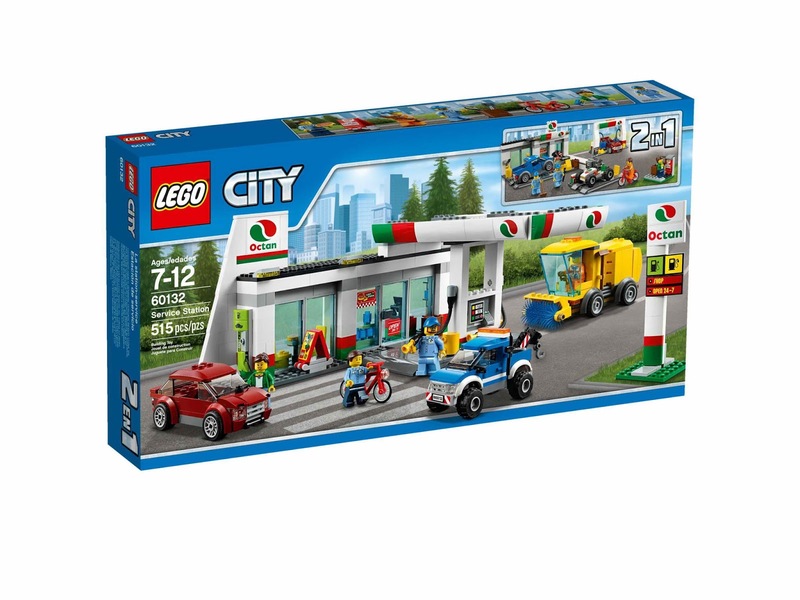 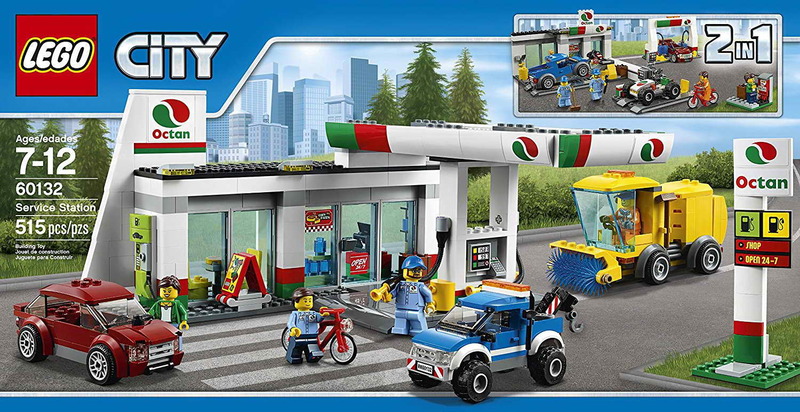 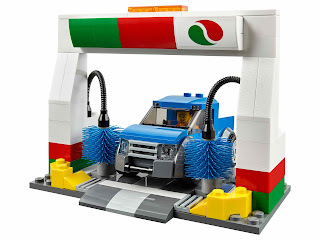 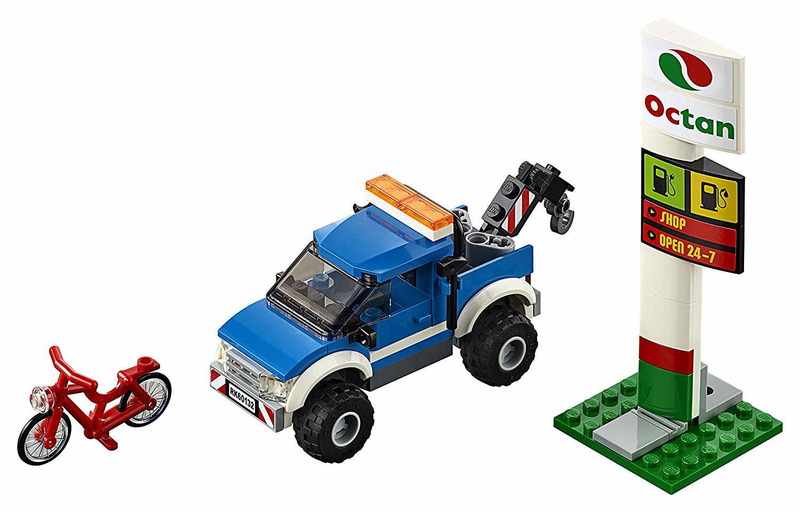 minifigs included a station attendant minifig, a mechanic minifig, a tow truck driver minifig and a female minifig.